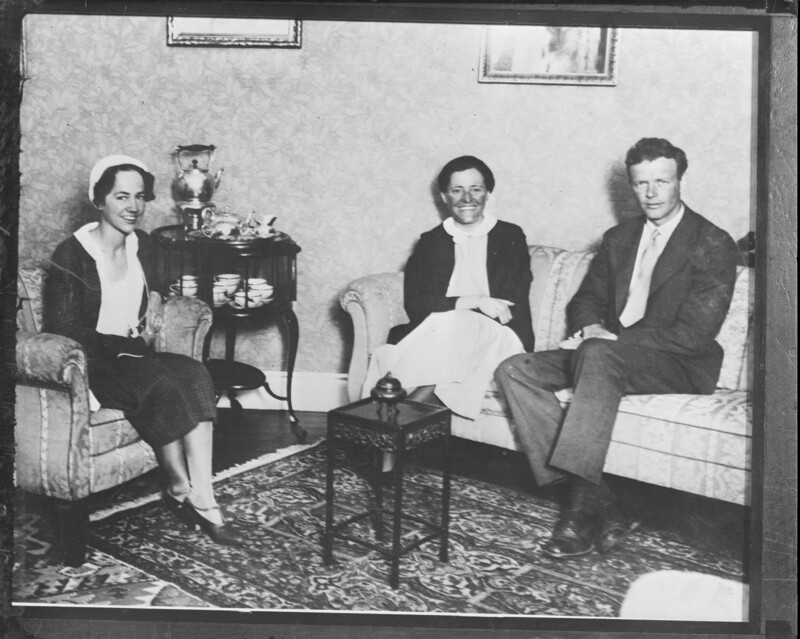 Lindy and wife in Tokyo with German aviatrix Marga von Etzdorf. The Lindberghs had flown to Japan from Washington, DC. Ms. Etzdorf from Berlin. Charles Lindbergh and wife ready to fly the Pacific. They left in July 1931.